You may have noticed the dearth of womanless events here lately. It certainly is not because I lack new material. You readers have continued to send me links to womanless events and I thank you for that. The reason I have not been covering womanless events here lately is because the more womanless events I see, the more I am turned off by them. In my opinion, a lot of the womanless events disrespect women. This is especially true in the cases when you have a gang of good old boys down at the local men's club, who decide to raise money by putting on ill-fitting dresses and fright wigs to imitate women. Their imitations are such caricatures of women that they result in ridiculing women(intentionally or not). On the other hand, there are some womanless events that do a better job; where the "gals" make a real effort to look and act like women. I am often in awe of them and appreciate the time and effort that the participants invest in their femulations. Anyway, I have decided to separate the wheat from the chaff. The high class womanless events will still find a place in my blog, but the events that ridicule women will not. I absolutely agree with you. We need respect! Completely agree with you this Stana. You are completely right about the dire efforts of some, and I think you should only publicise positive efforts at real femulation. Well done! Thank you Stana! Yes, we must respect women, and while emulating we try to act and be like them in as many ways as we can. That's how I approach it... and more crossdressers need this deeper understanding when they emulate women... The men who put on female clothes as a gag, are a joke unto themselves. I agree with you Stana. There have been many Womanless events where I see the participants not looking at all like women, with things like beards and other things that would not be appropriate for such a "beauty contest." Let's hope some more (as in the past) will have a Womanless Beauty Pageant with the paricipants looking truly beautiful! I agree with you and the other comments. Additionally, as a"Femulate' follower I like the concept of men doing the best that they can with their presentations. I have no interest in the gag concept of a guy in a dress. Noone (of us) wants to see ugly men in ugly clothes, pretending to be girls. This might be funny and okay for social reasons, but this is not what I wanna see. I want to be surprised and little bit sad and jealous, if they look soooo good and convincing. I would like to know, how many of them will continue. Could you please post a link to the picture you included in your blog? She is gorgeous! What do you expect from an event called 'Womanless'?? I admit to not knowing the history of this 'pageant', but methinks they're shooting themselves in the foot by using a name like this. Ok, so it's not exactly a womanless pageant, but why no coverage of Andy Moreno? Are you saying that only beautiful people have a right to live? I don't agree that wearing men wearing a bad wig etc. is disrepectful to women. If it is it is also disrepectful to men. Please don't become born again or reformed females. I agree with the last comment, I dont believe that everyone can be pretty, but here are many cd's tv's tgs that get thier start from these pageants, and i dont believe we should be judging them , by how perfect thier femulation is. We seek equality, but we fail to give it ourselves. I never said that "only beautiful people have a right to live." How anyone interpreted that from what I wrote is beyond my comprehension! In my opinion, I do feel that some of these "femulators" are disrespectful of women. If you disagree and want to give these "femulators" their due, then go start your own blog. 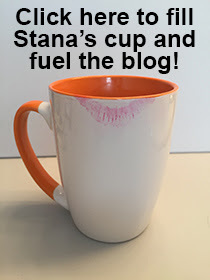 Dear Stana: How Do You Use T-Dar?